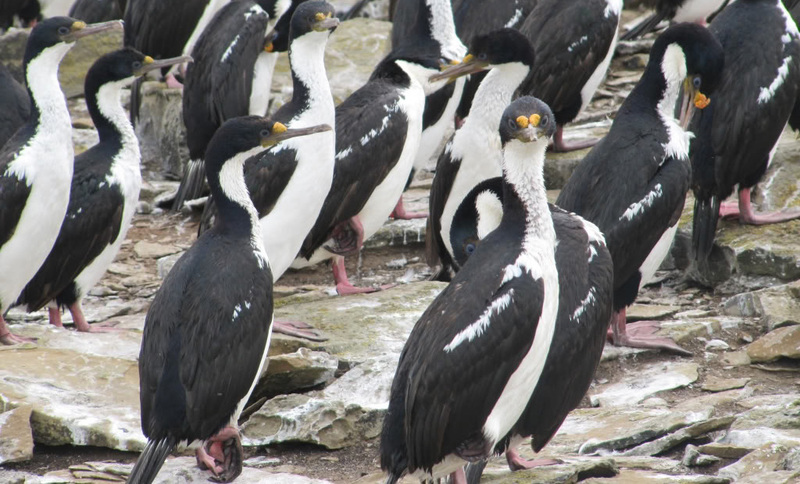 In the long tradition of Greg Marshall's "Crittercam," researchers with the Wildlife Conservation Society and the National Research Council of Argentina were able to safely and securely attach a small video camera - often referred to as a "lipstick" camera because of its small size and lipstick case-like shape - to the back of an imperial cormorant. By doing so, they were able to document for the first time, a cormorant diving in search of food (successfully, I might add). The bird reached an approximate depth of 140 feet in as little as 40 seconds, with the camera recording the descent into darker and darker water and the cormorant cruising the bottom until it succeeds in snatching a small fish which it brought to the surface. Filmed in a coastal protected area in Patagonia, Argentina, the research involves studying where the birds hunt and feed so as to determine if there are any high priority feeding areas that may require additional protection. There are around 3,500 pairs of imperial cormorants in this particular location and since these birds do not migrate, how and where they feed becomes critical in providing any degree of conservation and protection.